Coun Peter Gibson, leader of Wyre Council, said he would be recommending the council votes to opt out of the proposals to create a Lancashire Combined Authority. We will come to a point where someone says we need a chief executive for it, and how much will that cost for example? But Coun Gibson said; “I keep asking the question, what are the benefits? But not one leader in Lancashire can tell me what the benefits are. “I have been told it is a ‘leap of faith’, but in Wyre we make decisions based on fact and evidence. Coun Gibson does not believe Wyre will benefit from closer decision-making. 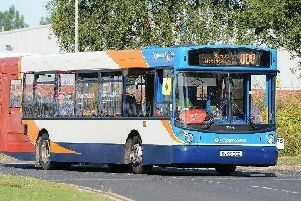 He said: “It is very clear from the governance arrangements the transport decisions will be controlled by Blackpool, Blackburn and Lancashire County Council. There will be no vote for districts. Following several months of talks, all councils in Lancashire are due to make decisions on whether they want to be part of a combined authority before the end of the year. But he admitted there would be a cost to setting up a combined authority. He said: “At the moment there has been no cost to the taxpayer for the combined authority work – officers have been undertaking this work as part of their roles at their existing authorities. Any potential future costs need to be worked out and agreed, and we will look at what’s best for the residents of Lancashire.